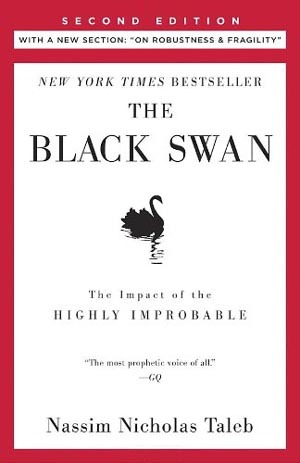 The Black Swan: Second Edition: The Impact of the Highly Improbable: With a new section: "On Robustness and Fragility" - IFA Vintage and Current Book Library - Index Fund Advisors, Inc.
Notes: A black swan is an event, positive or negative, that is deemed improbable yet causes massive consequences. In this groundbreaking and prophetic book, Taleb shows in a playful way that Black Swan events explain almost everything about our world, and yet we—especially the experts—are blind to them. In this second edition, Taleb has added a new essay, On Robustness and Fragility, which offers tools to navigate and exploit a Black Swan world.